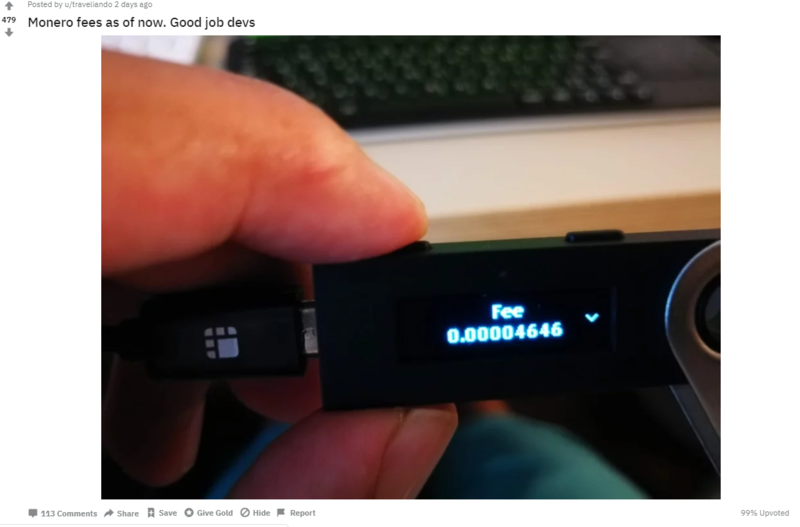 Coinmetrics.io, one of the Cryptoasset Analytics firms tweeted about the average transaction fees of the privacy coin, Monero [XMR] and stated that it has dropped to 2 cents. The recent Monero hardfork which took place on 18th October is considered to be the reason behind this plummeted value. The hardfork mainly concentrated on implementing a technology known as ‘Bulletproof’ on Monero. Bulletproof technology is a short non-interactive zero-knowledge proof without a trusted setup. The need for such a solution raised when the transaction details of the cryptocurrency had to be hidden from public validation. Bulletproof was introduced earlier in 2018 in order to enable confidential transactions of various cryptocurrencies such as Bitcoin [BTC] and others. The confidentiality in the transaction is achieved by shrinking the size of the cryptographic proofs. According to a Russian news portal, forklog.com, Monero hardfork took place on block 1685555 and the version 9 of the software was executed on block 1686275 with Bulletproofs. The famous privacy feature of Monero, Ring Confidential Transactions [RingCT] has been replaced by Bulletproof technology, says the Monero development team. The Monero developers are aiming to reduce the size of the anonymous transactions in the network by 80% by the new implementation, which will, in turn, reduce the transaction fees. 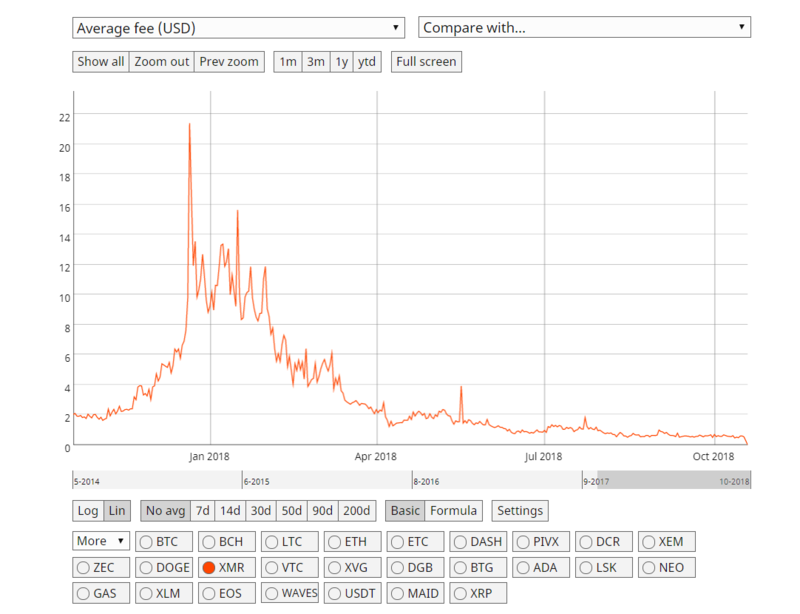 A closer look at the 1-year chart of the transaction fees by Coinmetrics.io, we observe that the value has touched its all-time low. December 2017 saw the major surge in transaction fees of XMR when the cryptocurrency market was at the major bullish end. Monero [XMR] price had also touched $460 back then. 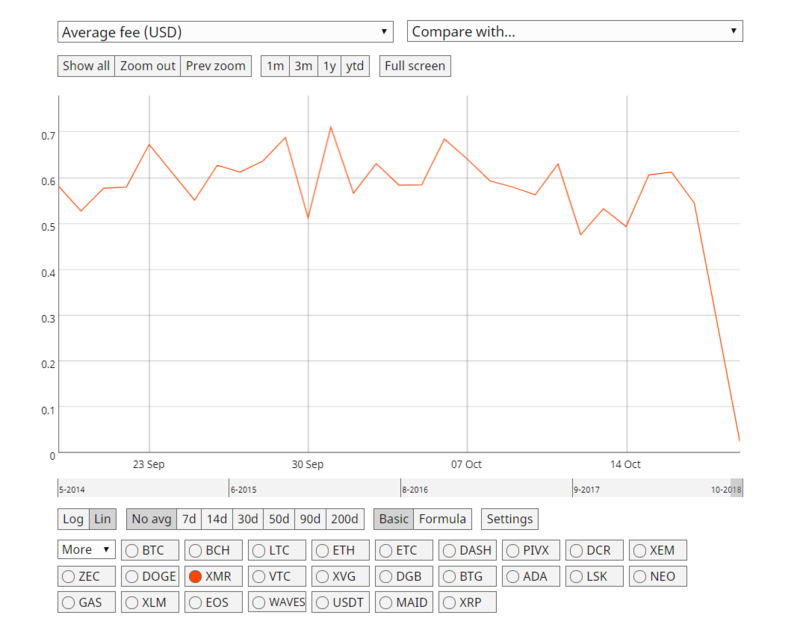 Further, the transaction fees gradually dipped over the year along with the slow-moving market trends. However, on 17th October the value was at 60 cents and dropped drastically to 2 cents in just 2 days. The XMR community seems to be very delighted about the recent update and proponents have expressed their views on the hardfork on various social media platforms. He also confirmed that this is due to Bulletproofs which reduced transaction size by 80% in his Twitter thread.